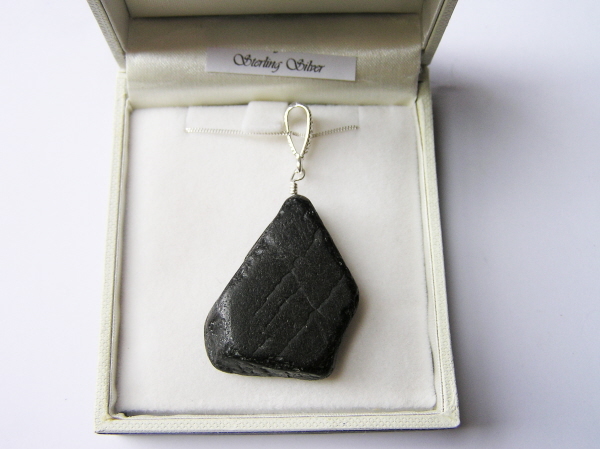 I have been selling pieces of Whitby Jet for several years - and I kept getting asked if I had any Jet jewellery. I decided to create a piece - and here it is. Rather than a lot of jet jewellery where the jet is cut in a very ornate and intricate manner, I thought it would be nice to keep it very simple. I haven't cut the jet itself - it is a natural piece of sea-worn jet. This makes it easy to imagine where the jet comes from - and appreciate it's natural beauty. I feel that when it is cut and polished you lose any sense of the Jet being a rare and natural object. A piece of fossilised Monkey Puzzle Tree from a tree that lived many millions of years ago. It is a VERY rare substance, and only commonly found in one place in the UK. It is collected from the coastal town of Whitby on the North Yorkshire coast. I only have a limited supply of these necklaces, and don't know how long supplies of Jet will last. This is a great opportunity to buy yourself a beautiful and intriguing piece of jewellery. 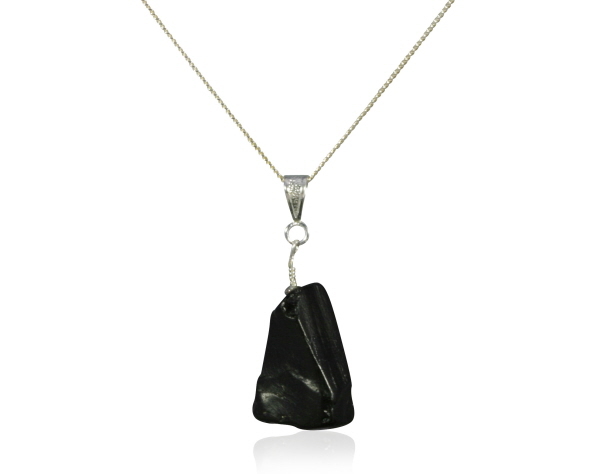 You won't receive this exact necklace, but it will be identical apart from containing a different piece of jet. It is drilled and strung from an 18 inch SOLID silver curb chain. It will be sent to you beautifully presented in a padded jewellery box with a full colour inlay featuring an image from Whitby.